Since he started as CEO of SnapShot in December, Stefan's infectious enthusiasm is evident at this Berlin-based startup, as he shares expertise gained from time spent as the Director of Google Germany. In our conversastion via Skype, Stefan talks about what drew him to SnapShot, his management philosophies, the state of the hotel information technology, and how SnapShot hopes to shape the future of hotel analytics. Q: What drove you to join SnapShot initially? Stefan Tweraser: I think a few things. What initially drove me to SnapShot was a unique combination of industry expertise, I.T. expertise, and the right set of investors. 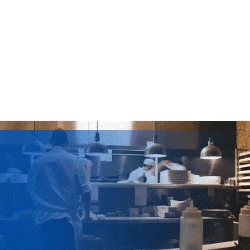 Our team has a lot of people coming from the hospitality industry who share a common vision that the industry doesn't have the right approach to data and analytics yet. The great thing is that the industry is looking for the right way to access hotel data. They really want to own their data, but are still in the experimenting phase of how to do that. The second factor is our hotel tech expertise, which is quite extensive. It starts with [SnapShot CTO] Michael Heinze and his impressive history, but over time we have assembled a very knowledgeable team that understands how hotel data products need to be designed. And that's of utmost importance. Operationally speaking, that’s one of the most critical things for us. And third, our strategic advantage is the combination of investors that we have. When you look at them, from Shiji to STR, they are really major players in the industry, and real strategic investors. So it's not that they come with very short-term financial objectives. They understand that creating new product categories in hotel analytics and hotel data requires a certain level of patience, but also requires a certain level of support. What I experienced in the last week in China was a superb example of the strategic interest that Shiji, with its investment in Horwath [Horwath HTL], has been able to give us. They really are helping us to go into the Chinese market not just with ideas and the network, but with resources and active assistance to working with the local customers. These elements together — hospitality expertise from [SnapShot COO] David Turnbull and the team, our hotel tech experience, and our investors — I think that's what really sets SnapShot apart. This is the foundation for our success. Q: Can you describe the current state of hotel tech and how SnapShot fits into that? Stefan Tweraser: Hotel tech has moved incredibly fast on the consumer end: apps, booking platforms, deep integration with Google, and so forth. But "back of house" tech, the hotel-facing side of things, we as an industry really need to catch up. We see the same issues related to ease of use, design, infrastructure. The current solutions out there don't necessarily make hotel management easier. The functionality that we have with SnapShot Analytics being in the cloud, is that you can adapt it to your individual hotel's needs, but you can also scale it to a hotel group. So the product works how you want to work and remains constant, no matter the other hotel tech you're using. It complements the work that PMS prodivers are doing. That ease of use and flexibility of features makes a huge difference, and is an indication of where hotel tech is headed. Q: What do you think has held hotel tech back from evolving the way many other industries’ I.T. has evolved? Stefan Tweraser: I think there are two reasons. The first one is that the hospitality industry is an industry that really cares about the guest experience. So the focus on immediate concerns like the guest experience, though absolutely crucial, has to a certain extent slowed industry evolution towards great hotel technology. The second thing is when you look at the current hospitality I.T. and hotel tech players, there is a such a fragmentation of players. A hotel's back-of-house has dozens of tech solutions per country, sometimes per city. In Europe there are CRS systems that are leaders in specific cities. This is great for hotels in the sense that it gives them very local customer support, but it is very hard for new hotel tech players to come in and innovate. From a hotel analytics and data viewpoint we believe we can create a standard that will help hotel managers around the world without needing to redo an entire hotel tech installation. Q: Can you tell me a little bit about your experience at Google and any leadership philosophies you're carrying over to SnapShot? Stefan Tweraser: I think what really sets Google apart, other than great products, is its approach to people management. That focus to bring in the best people, but then also help them to develop, that's one element that I’m happy to have at SnapShot. The second element that I really like is a very analytical approach to management. The ability to base all your decisions on data. One of the acronyms that I like most was "Beware of the HIPPO.” The “HIPPO” is an acronym for the Highest Paid Person's Opinion. So a good decision isn't good because it comes from the top, a decision is good because it's based on the right data. And if a decision is based on data then you can test it, and you can challenge it, and then you can build on it. Finally, attention to detail is something that I really like very much. The attention to detail combined with the strong customer focus. When we built SnapShot Analytics we went through 17 different versions, applying meticulous attention to detail in design to create a product that is intuitive and friendly. That level of care and attention to detail is something the back-of-house hotel tech needs. Q: How do you hope SnapShot and SnapShot Analytics will make hotel management easier? Stefan Tweraser: When you look at Snapshot Analytics as a product, it really meets the needs of hotel management today. In all the discussions that I have with clients, they say that's what they need. 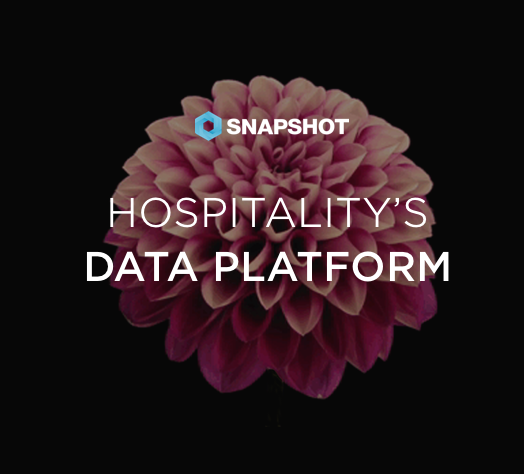 It's not that they're not looking at the data, but SnapShot Analytics makes it so much easier to integrate hotel data and analytics into day-to-day management practices. And when it’s easy to use every day, it makes it a much more reliable source of data that can support your decisions. In addition, I must say SnapShot Analytics is beautifully designed, and it's very comprehensive while being easy to use. Customers seem to immediately understand it, and they really want to dive into details. It’s intuitive design combined with comprehensiveness of the data sources make it a unique product, right at this point in time when the industry needs it. So much work is being done by hoteliers to provide great design and attention to detail to guests. And design is really advanced in the consumer apps today. We think it's time to bring that level of care to the back-of-house tech and we've invested a lot of money to doing just that. Q: To wrap up, what advice would you give to hoteliers that are reading this? Stefan Tweraser: I would say hotels need to stay focused on creating excellent guest experiences, but start looking at their data: Where is it stored? Are you using any types of analytics tools? Start using the analytics tools built-in to their existing platforms. Look at the data and analytics every day. Familiarize yourself with it and find ways to use all the incredible data that is already available to improve guest experience. We have the data already, why not make it work for us?